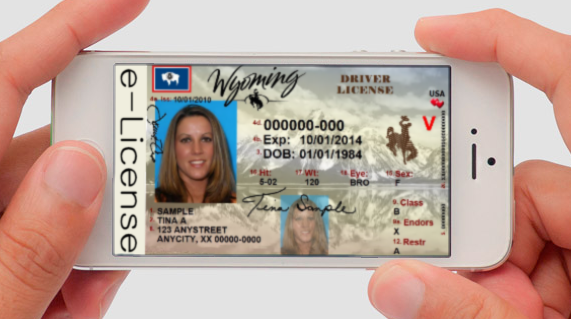 The development of the e-License came from an idea spawned by a liquor store owner who noticed that young people often forgot to bring their license into the store, but were seldom without their smartphone. "When the youngsters don't bring their license with them, we can't sell them liquor," said Gwen Sullivan, "This slows down the checkout process and my other customers get frustrated. I saw that most of them were texting on their cellphones but couldn't remember to bring their license. It was a busy Friday night and I had just had to refuse service to a group of young adults when then the idea struck me." Gwen approached the Wyoming Licensed Beverage Association with her idea and after two meetings and a feasibility test they approved a statewide trial, beginning on June 1st. So far 38 people have signed up for the e-license which is currently only approved as a proof of age ID. The e-license is not yet recognized by police officers as a valid form of driver's license, so Wyomingans will still need to carry their physical license if they plan on getting pulled over. 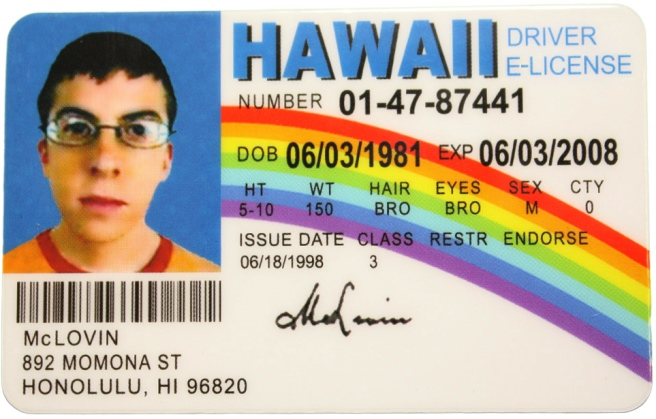 Opponents to the e-License system say that the technology is not foolproof and it won't take long before somebody figures out how to fake e-Licenses, which will put alcohol into the hands of minors. Gwen Sullivan assured concerned people that the same diligence would be used for the e-License carriers as it is for regular license holders and that the staff in her stores have been fully trained with respect to refusing underage sales, no matter what form of ID they carry. What do you think about the e-License? Is it a viable system for national use? Is it open to abuse from tech savvy teens? Use the comments section to share with us.